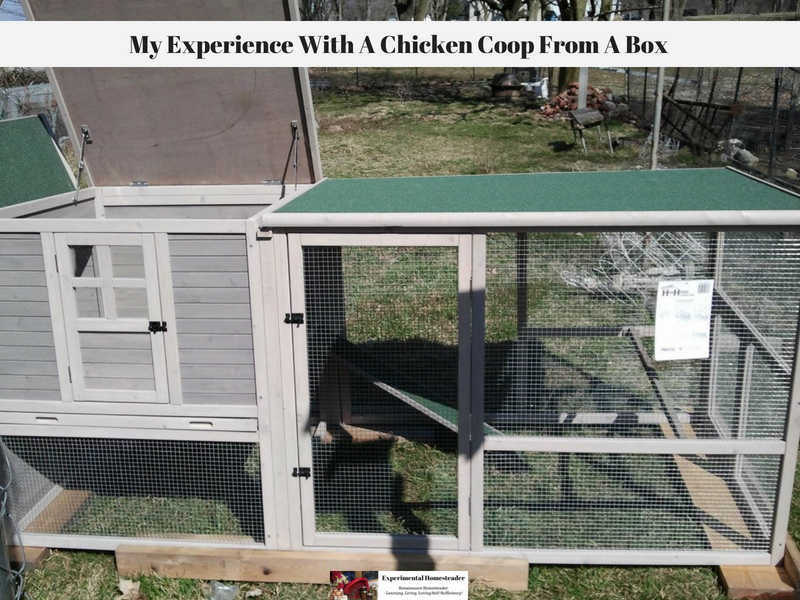 Many people wonder about buying a chicken coop from a box and assembling it on their own, so I thought I would my experience. Last August I came home to find all of my chickens gone and their carcasses scattered around the yard. I was sad, but I knew getting new chickens in the spring would require more secure housing, fencing or both. I really felt the old chicken coop that came with the property and the fencing we put up just were not working anymore. 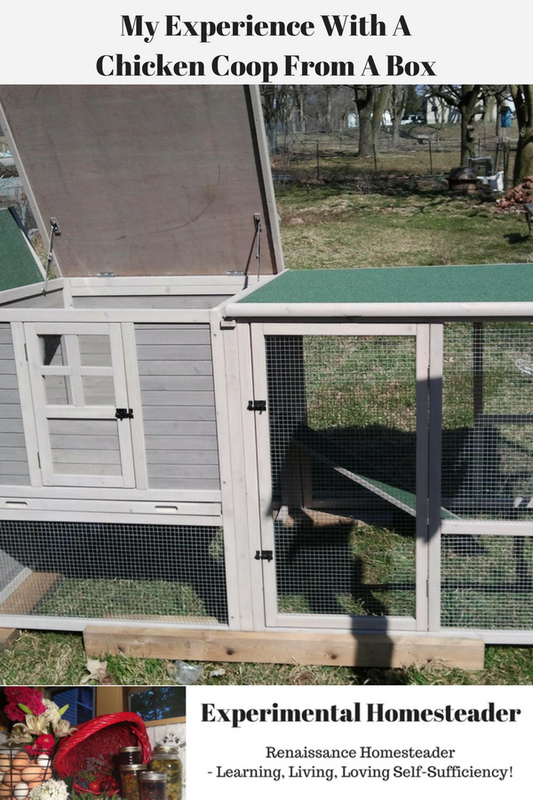 So when I decided to start over this spring with new chicks, my step-dad and I went out to our local farm store and bought a pre-made chicken coop. The chicken coop came in two large boxes that would not fit inside my car, so I had to make a phone call home and have Jerry bring the truck to the farm store in order to get the chicken coop boxes home. The really bad part was we went out right before the farm store was getting ready to close, so we had to wait behind the store, after hours, until the truck arrived. The next morning, the assembly began. Once the chicken coop was assembled, I thought the coop was secure – and my step-dad assured me it was – but lo and behold, we were both wrong. Within a few weeks, a young hen was pulled under the edge of the chicken coop where it sat on the ground and partially eaten. Something more was needed – and thus boards with sides on them were slid under the bottom of the chicken coop on all four sides. Where the boards did not meet up, we added bricks so there were no openings that a predator could get their hands into. This worked well – the chicks were secure. The coop itself is small – and needs cleaned daily. I have four full size hens in there at the moment and I do not feel I could add more. 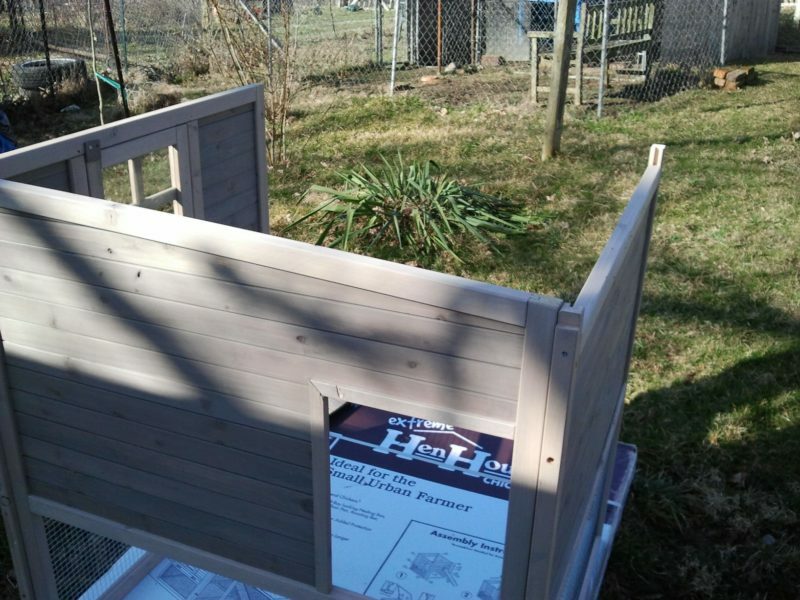 Eventually a larger coop will need built, but this small one will work well as a shelter for young chicks that are not large enough to go in with the older hens. It also would work well for people who only want two to four hens. 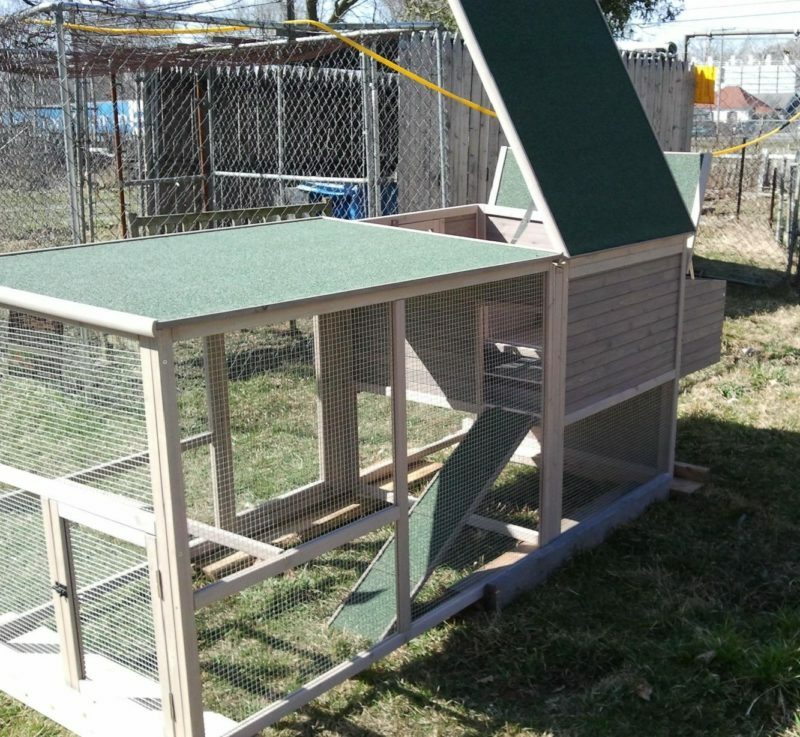 For those of us with an actual farm who plan to raise chickens for meat and eggs, my advice is to pass on this type of chicken coop unless you simply want it to raise chicks in until they are large enough to go into the a bigger chicken coop or mix with older chickens.